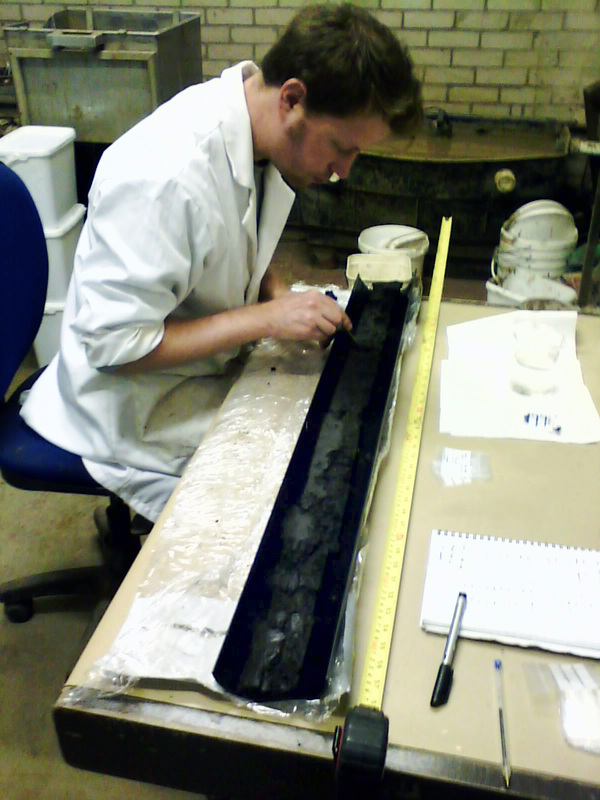 Once back in the lab the cores are recorded in order determine any changes in stratigraphy, such as changed from a wood peat, signalled by the presence of frequent wood fragments within the peat to a sedge peat, signalled by the presence of monocotyledon plant fragments (such as grasses and sedges) within the peat. The cores are then sub-sampled for pollen analysis. 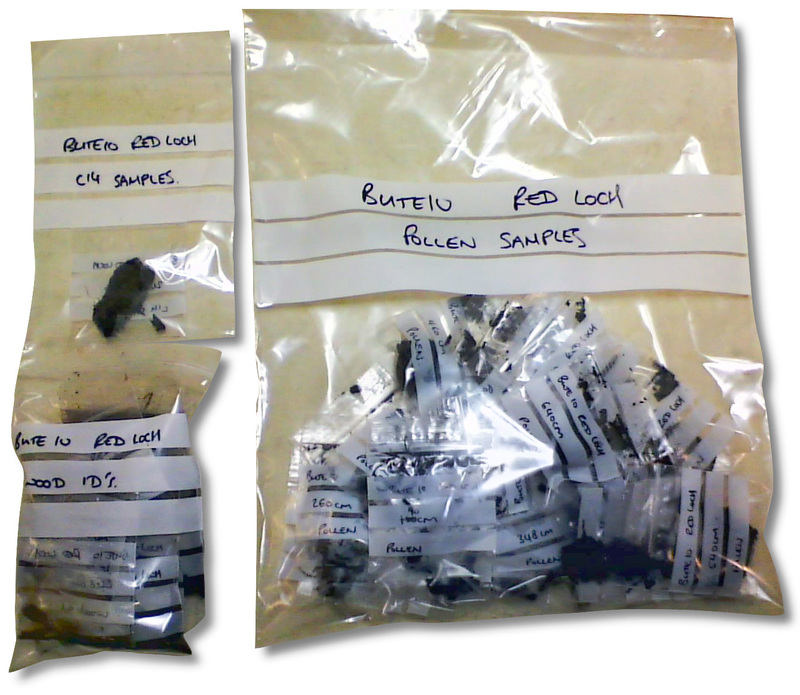 Pollen samples are taken in small cube blocks (c.1cm3), cut into the peat and placed into small plastic bags (see photo). These will then be sent to The University of Aberdeen for preparation, once prepared the samples will be sent back to us ready for pollen counting. Any wood fragments that can be identified were also removed from the cores. Identification of the wood to taxa will provide further information on the local vegetation communities growing on the bog surface and help to indicate what tree pollen represents local woodland as opposed to more regional woodland. Lastly the cores have been sub-sampled for radiocarbon dating material. 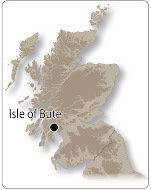 The peat itself has been used for dating from the Red Loch sequence and it is hoped these dates will ties in with the previous work done at the Loch and help to overlap the two sequences.